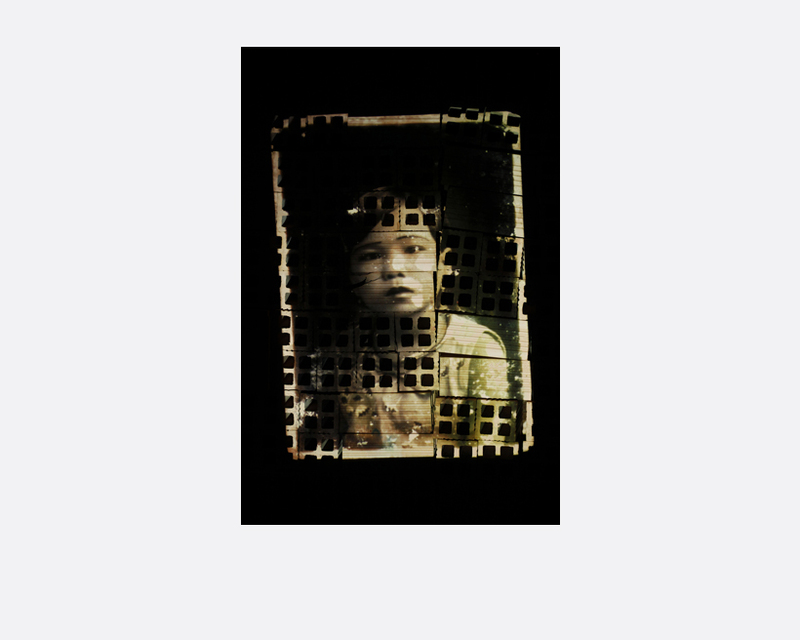 These photographs are part of the project titled recOllection, which started in 2010 as a pictorial study on a new interpretation of the photographic space. 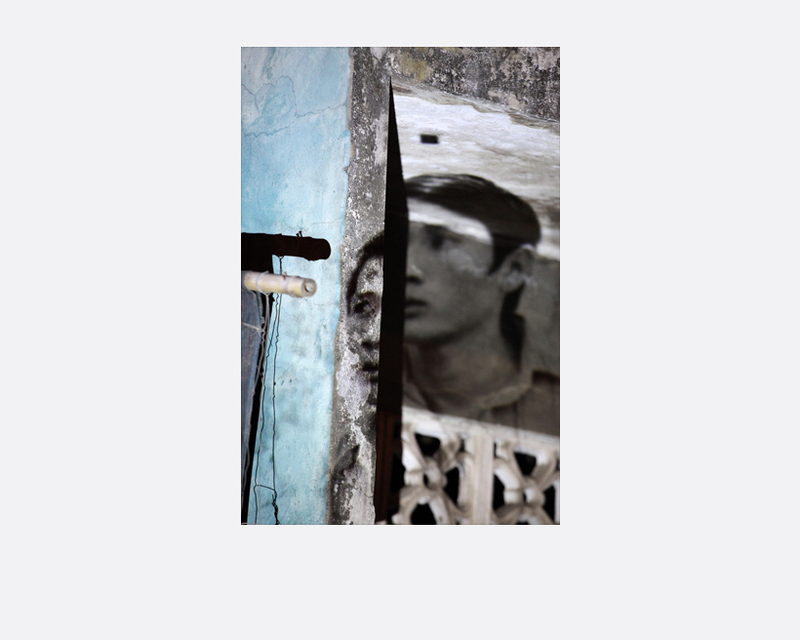 The artist has developed her own technique, superimposing layers of old photographic material (vintage photographs depicting intimate scenes of Vietnamese life from the 1930s to the early 1970s) projected on various urban surfaces (buildings, waste dumps, shipyards, etc.) and re-captured through the lens, as a resuscitation of the nameless men and women who, for a while, haunted the streets of Saigon and who have fallen into oblivion. This re-composition allows for a richness of meaning, otherwise difficult to capture within one material. 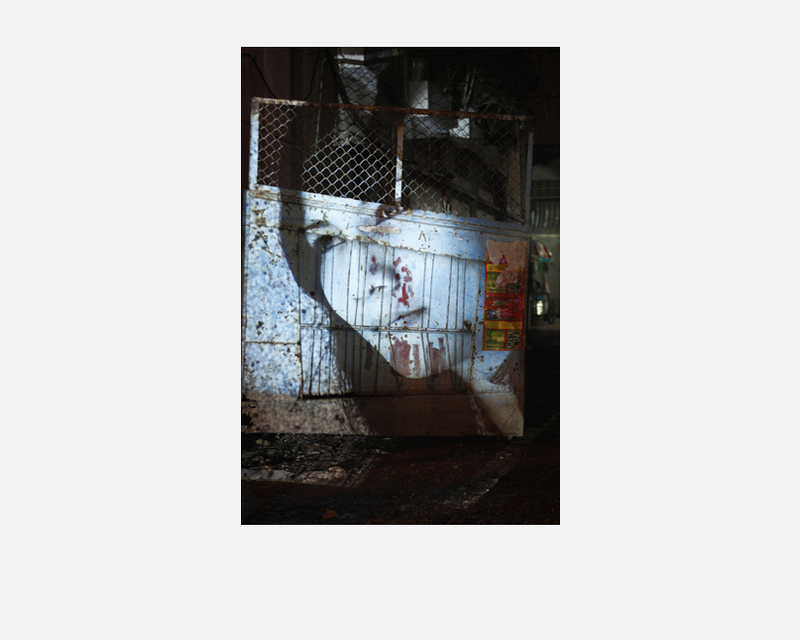 Fusing different dimensions of time and space, revealing the hidden codes behind reality, these projections of the city act as an x-ray, revealing not the inner structure of walls, but the lives of those that used to laugh, suffer and die between them. Projected on those walls, they are the ghosts of the city, reclaiming their right to be remembered, they hold a mirror to the living, reminding them that they too are projected against these walls in another dimension of time. is French-Vietnamese. Her photographic art project recOllection started in 2010 as a pictorial study on new interpretation of the photographic space. 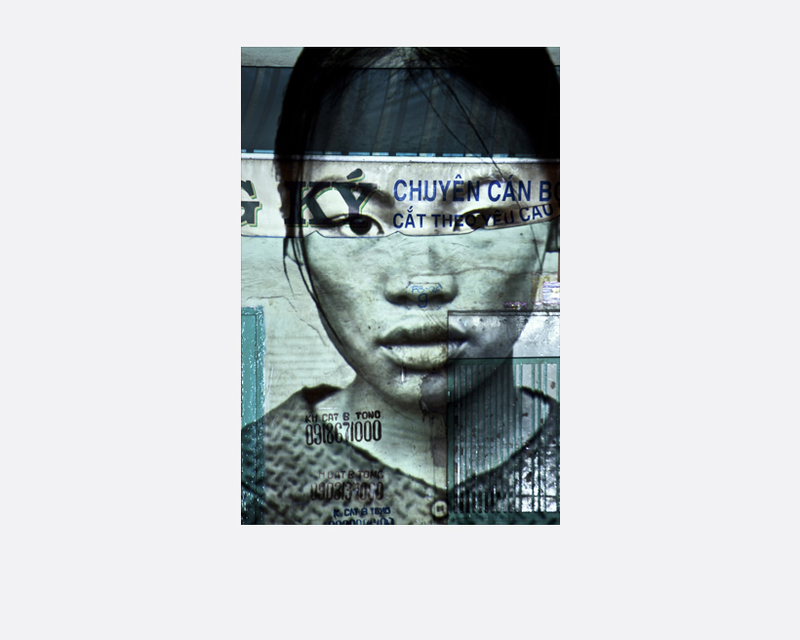 She has developed her own technique, superimposing layers of old photographic material projected on various urban surfaces and re-captured through the lens as is — by doing so she blends architectural details and street art with emotions.